Little Inventors 23 January 2019 11:00 am 23 January 2019 12:30 pm Islamic Museum of Australia Join us in this fun, interactive and inventive children’s workshop! 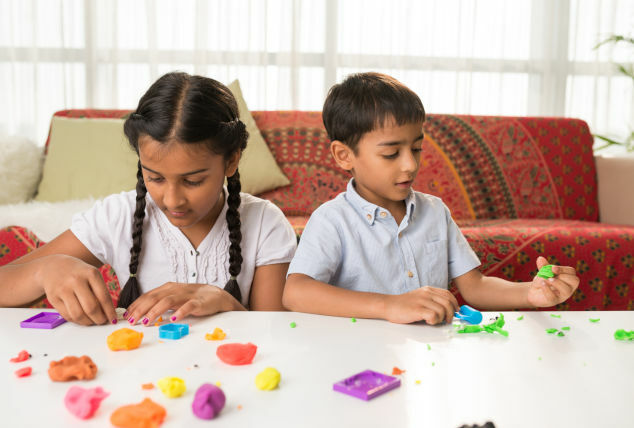 With different coloured playdough at hand, different tools, various materials and your imagination, who knows what you’ll create. Join us in this fun, interactive and inventive children’s workshop! With different coloured playdough at hand, different tools, various materials and your imagination, who knows what you’ll create. Little inventors, this one is for you! Join us in this fun, hands-on children’s workshop. The workshop focuses on engaging children in creative thinking and design and touches on science, art and technology. Come with us on a journey to discover the great inventions of the Golden Age of Islam. Our mini tour of the Islamic Contributions and Civilisations gallery will offer inspiration and ideas. An imaginative mind, together with different coloured play dough, tools and various materials and who knows what's possible! The activity includes free face-painting! Time: 11am - 12.30pm Ages: Suitable for ages 5+ Check out our other school holiday activities and events!